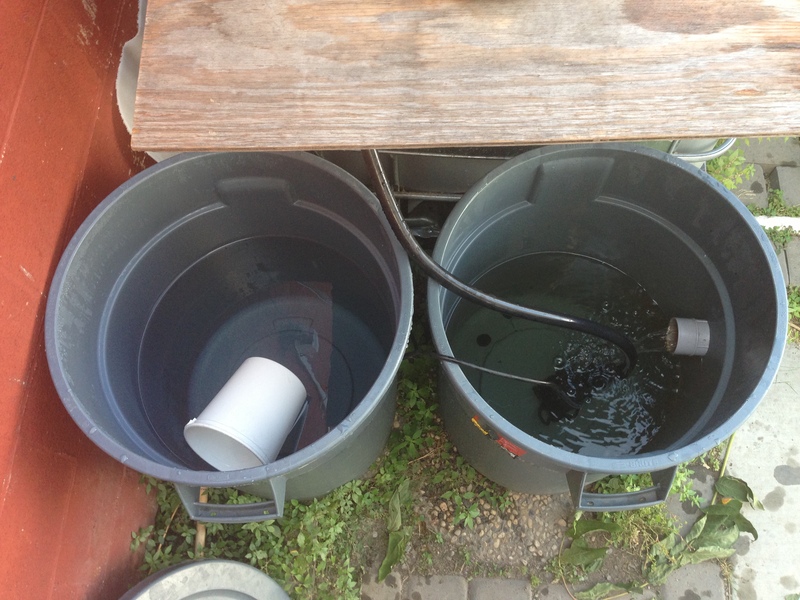 Water returning to tank on right. Left tank holds makeup water. Water returns from grow beds and is pumped back into fish tank. Makeup reservoir holds tap water that has been sitting for at least 24 hrs. This allows for chlorine to bleed off. Water is used to make up water in the system that has been lost to evaporation and leaks. 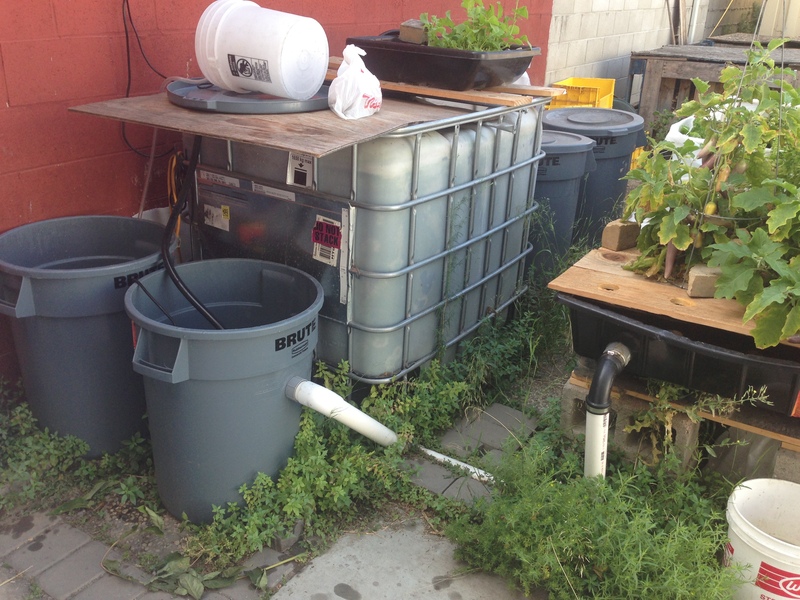 Usually, on hot days, around 5 gallons are replaced. This is the only water that is added or used. 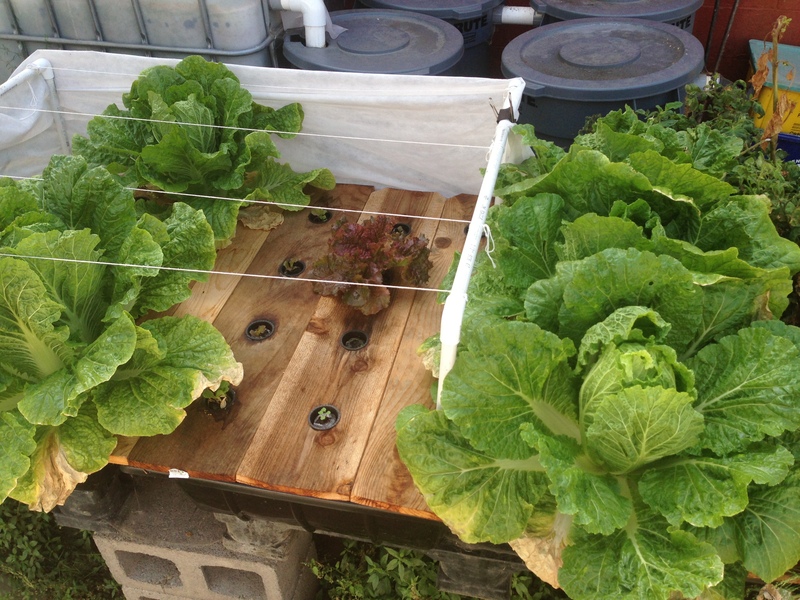 Plants in grow beds take up nitrates. Water flows into return tank then is pumped back to fish tank. Have been having problems starting the romaine lately. Don’t understand what I’m doing different. Planting seeds very shallow seems to work best. Don’t remember doing that before and seeds seem to take ok. Oh well. Some seeds are sprouting. Will replace nappa when those are harvested for kimchee.